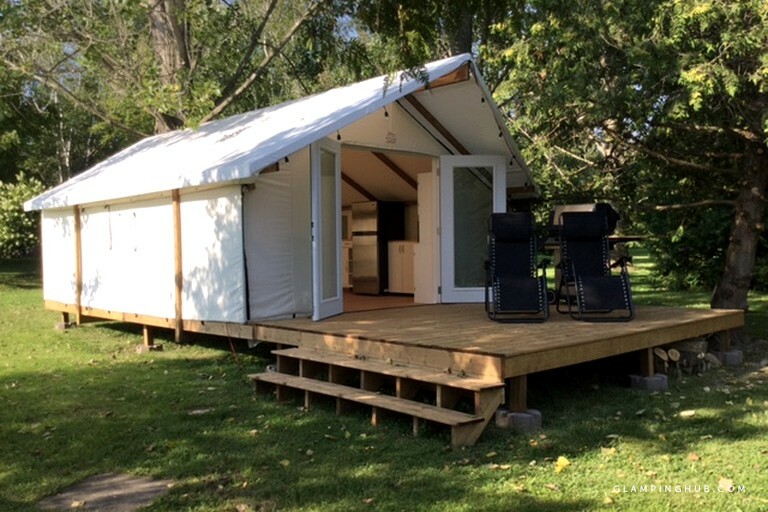 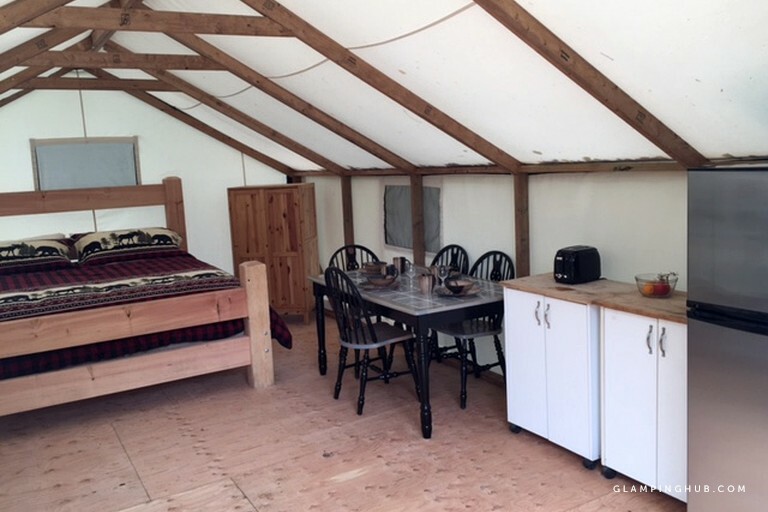 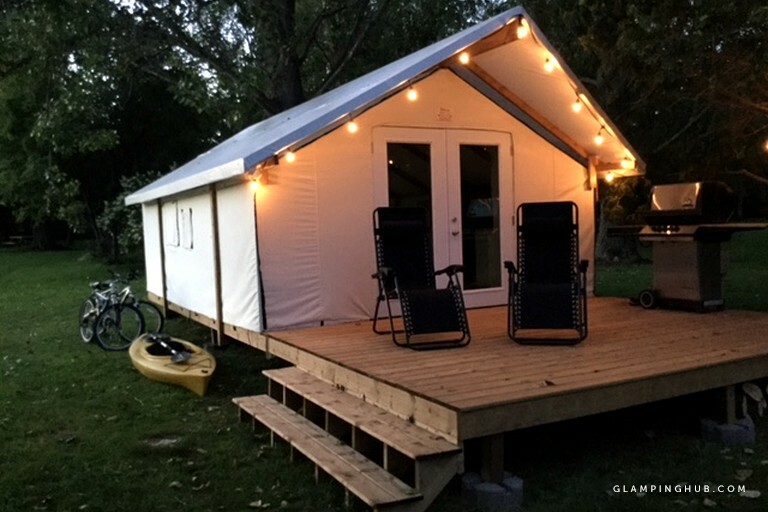 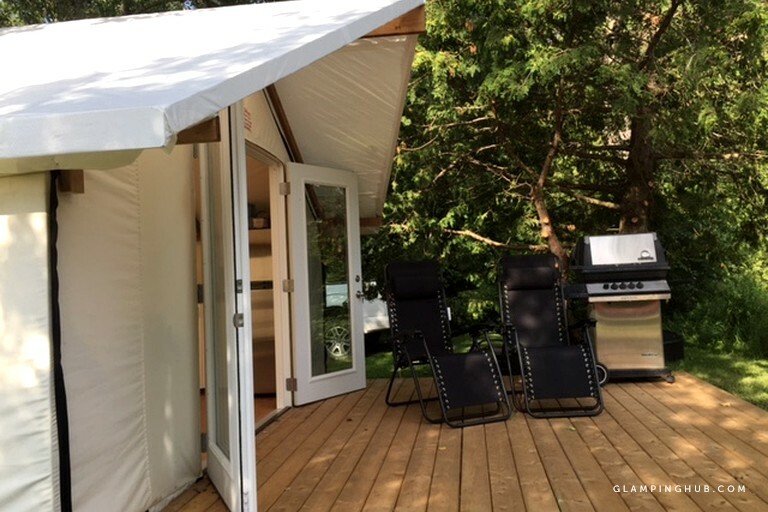 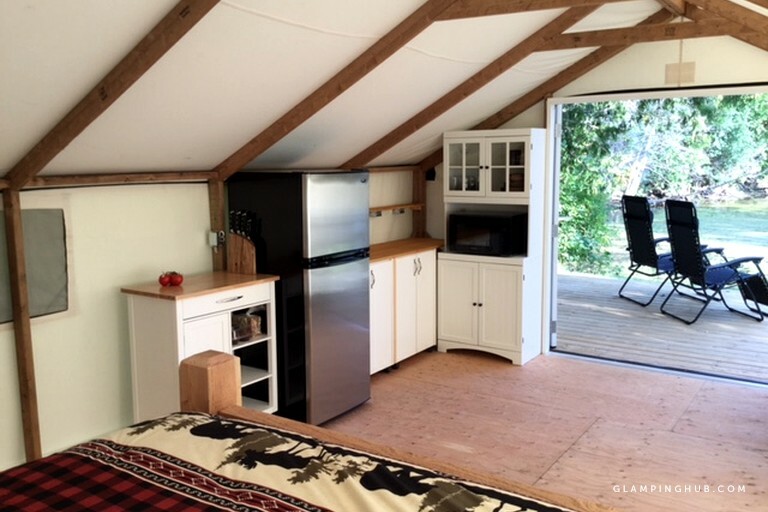 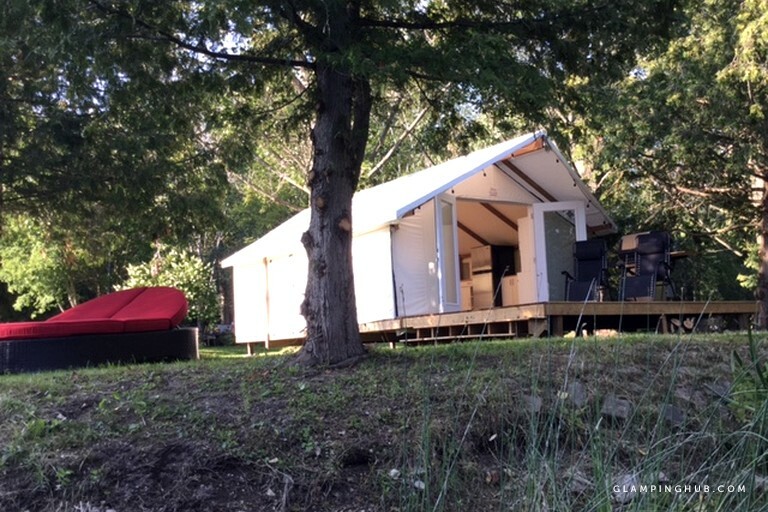 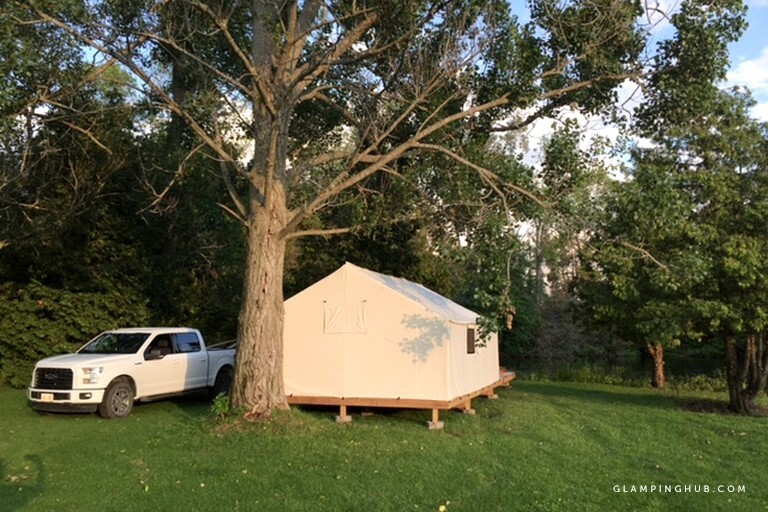 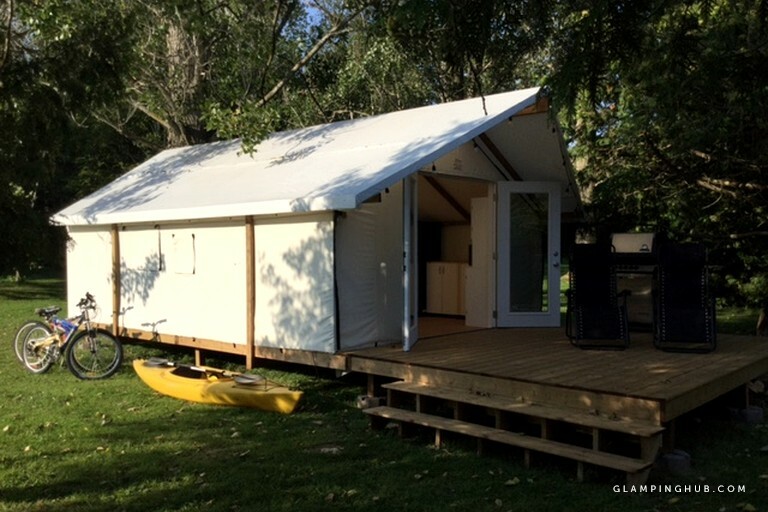 This romantic luxury camping tent is located in the Durham region of Ontario, Canada, just minutes from Lake Simcoe, and can accommodate two guests. 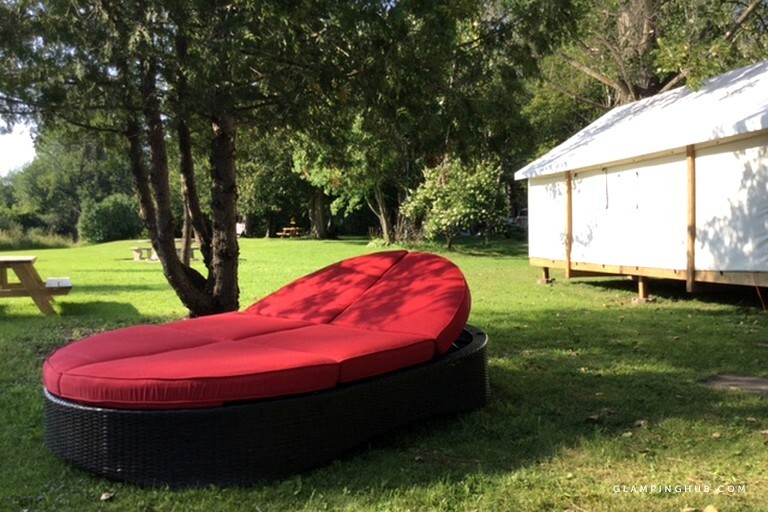 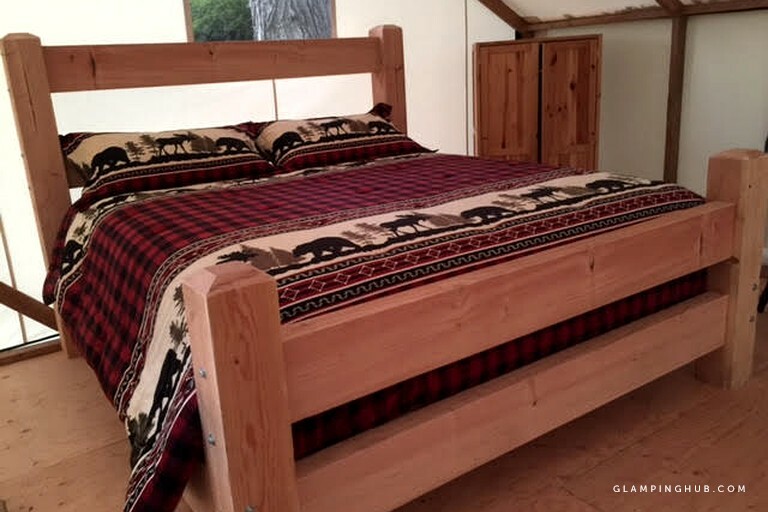 Located on a four-acre private park, the tent will give guests the privacy they're looking for and comes with a king-size bed. 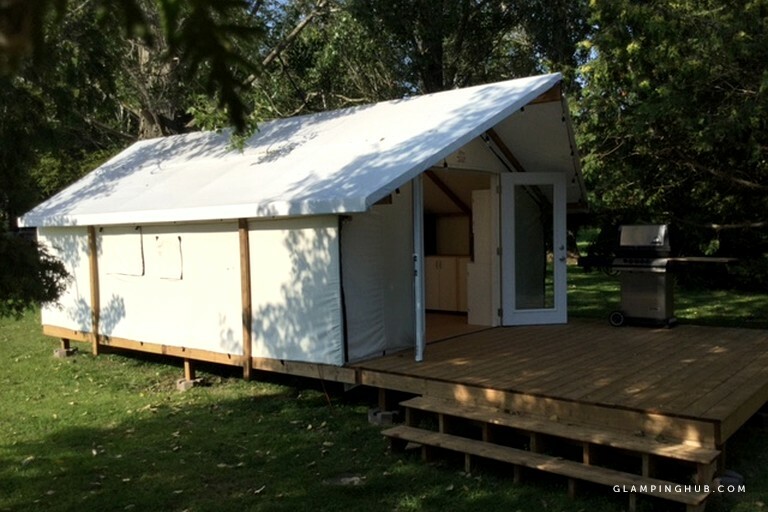 The bathroom is located just a short distance away from the tent. 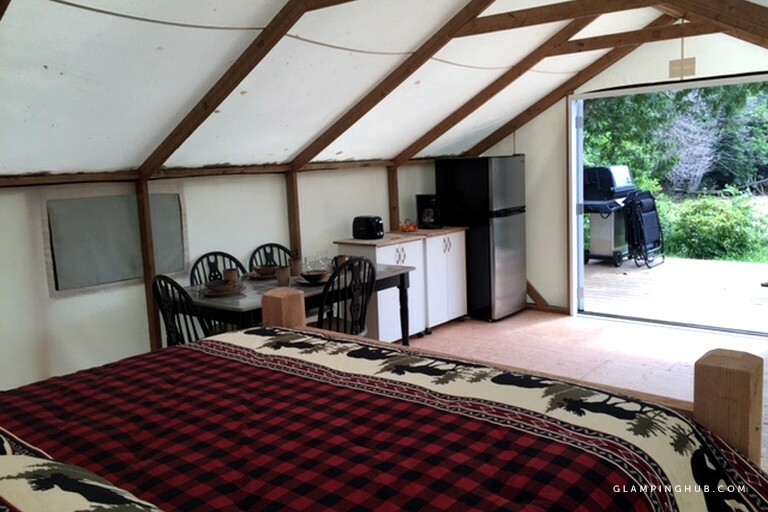 Inside the tent, guests will also find a full-size refrigerator, a coffeemaker, a toaster, dishes, and a dining table. 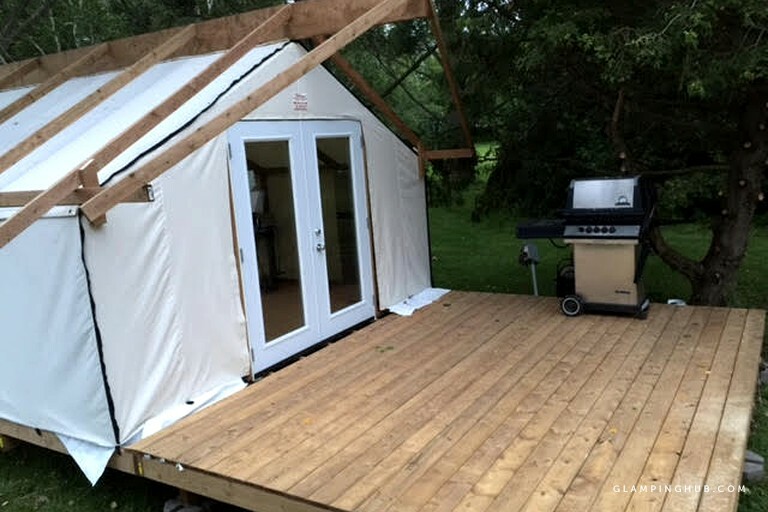 The tent also features electricity and running water. 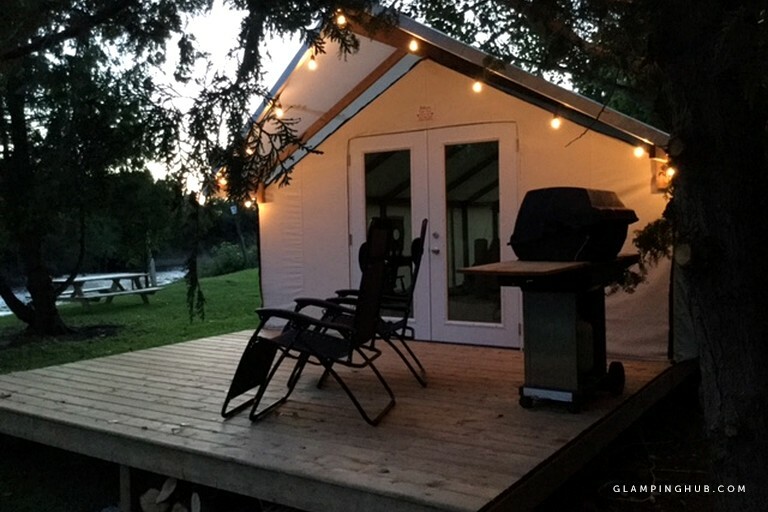 Outside, guests will be able to kick back and relax on the ample deck, which comes with a barbecue and outdoor furniture. 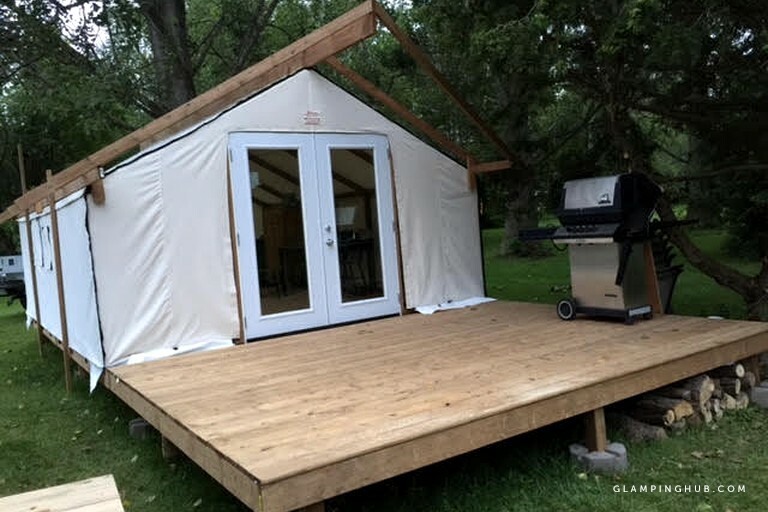 At this tented cabin, glampers will have access to a full-size refrigerator, a coffeemaker, a toaster, electricity, running water, and a large deck with a barbecue and outdoor furniture. 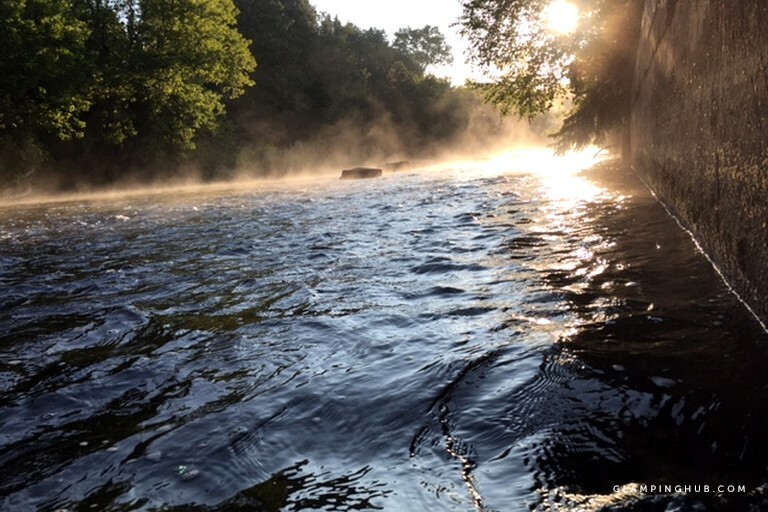 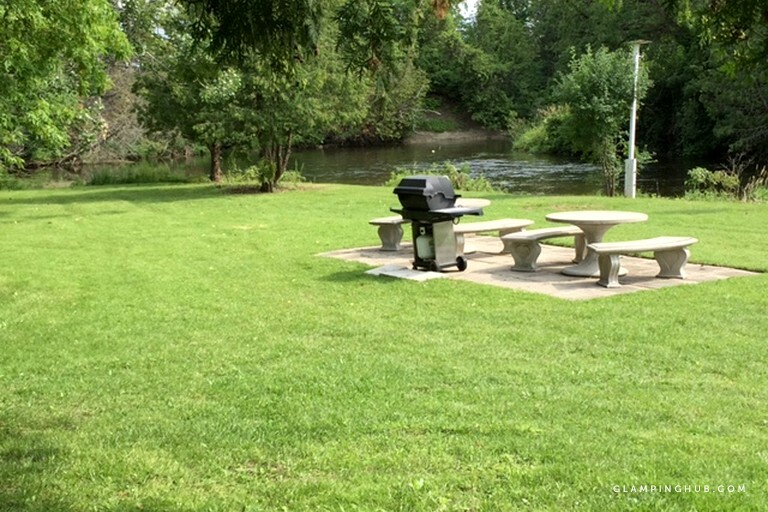 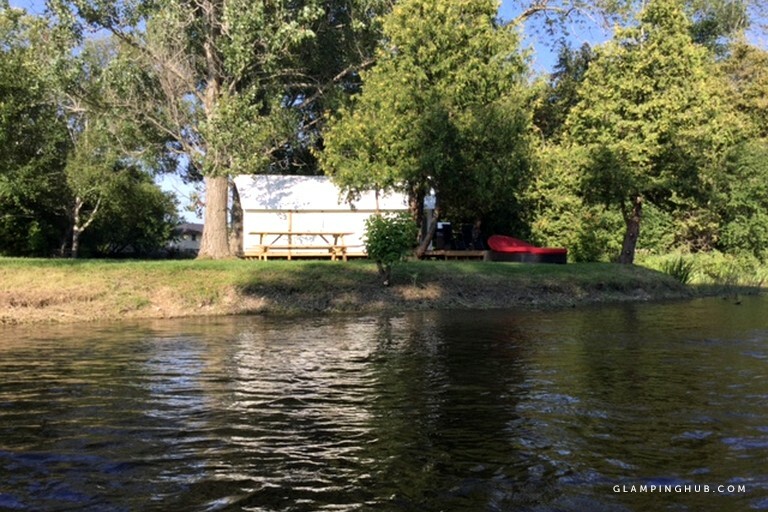 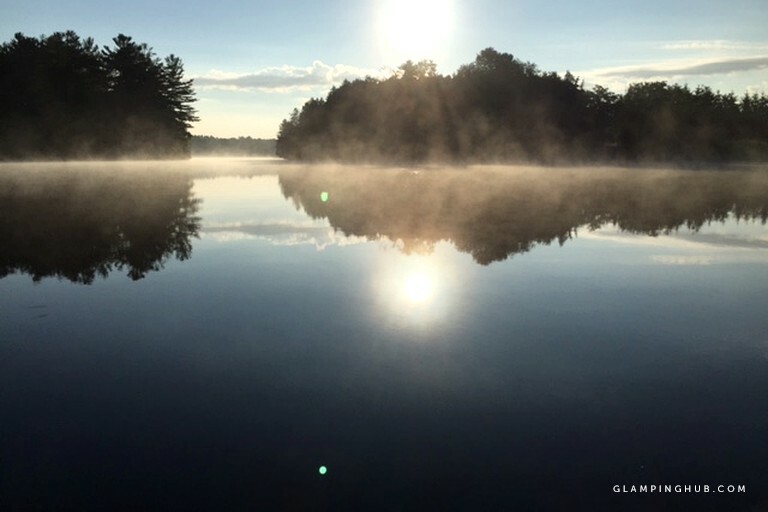 Large boat access and swimming are located conveniently nearby—just across the road and over the bank at the Trent Severn Canal. 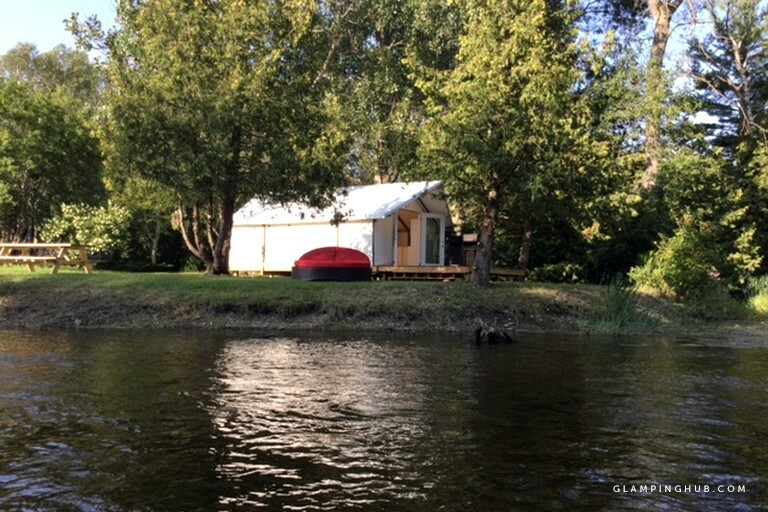 This also makes the cottage a great spot for fishing, canoeing, or kayaking. 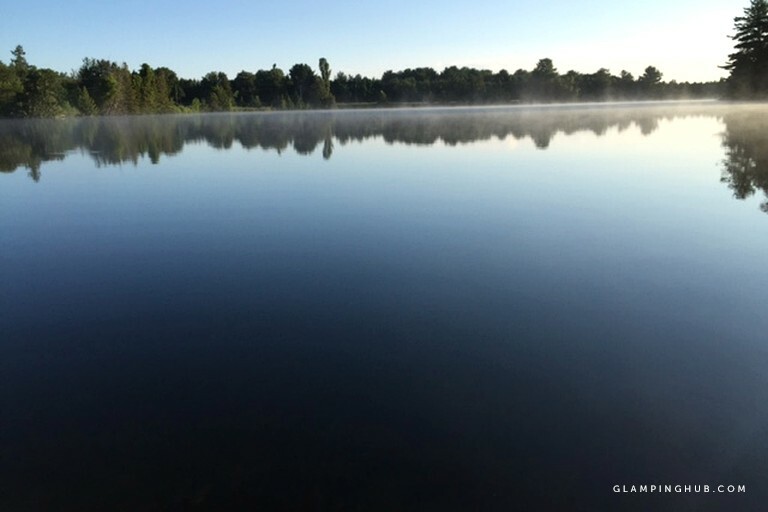 Keen golfers will be pleased to learn that Cedarhurst Golf Club is not too far, as well as a selection of spas for those who need a full day of concentrated relaxation. 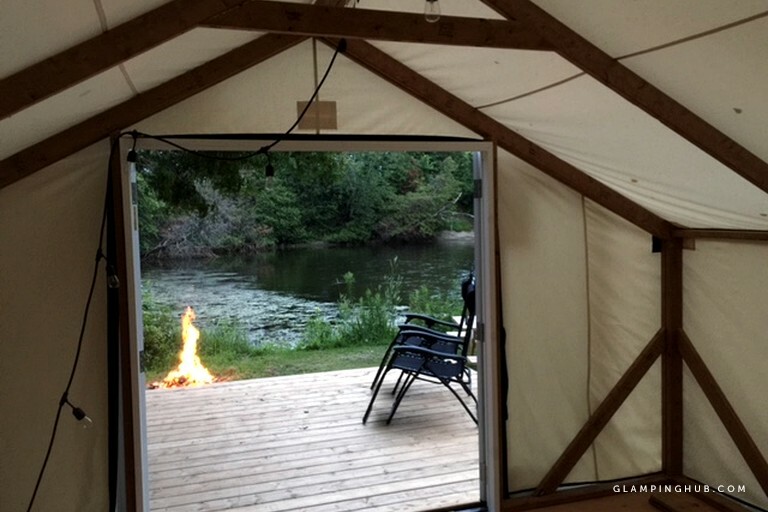 This property is non-smoking. 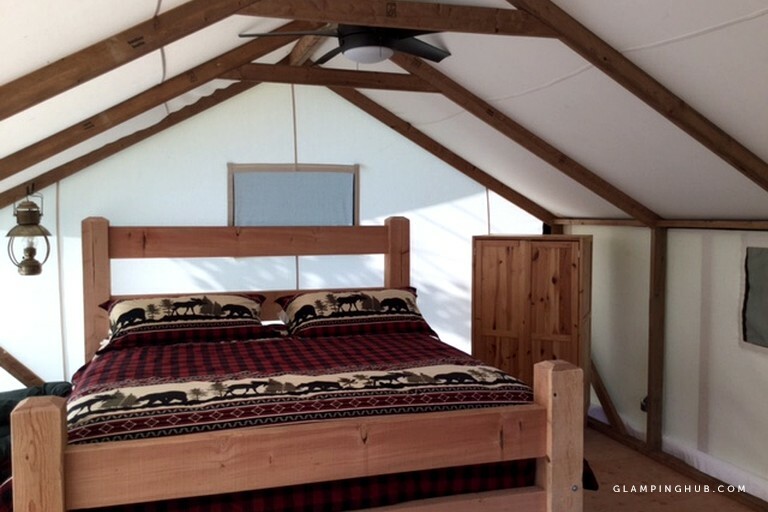 Children are more than welcome, and pets are permitted—please inquire with the host for more information. 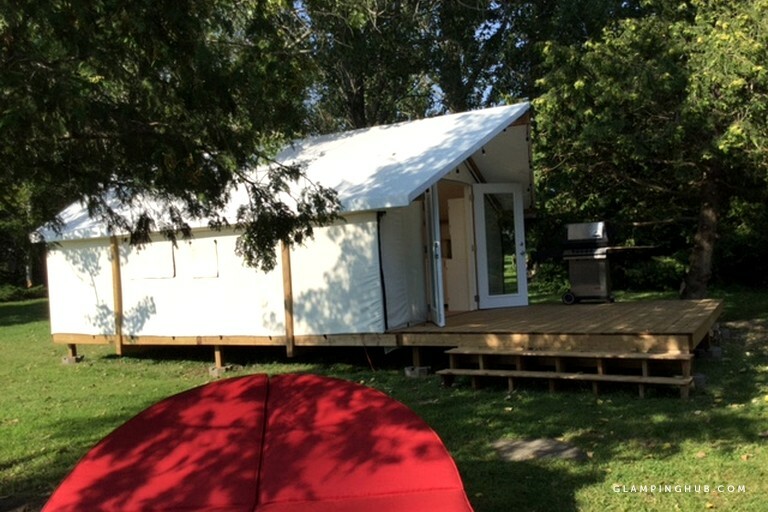 There is a refundable damage deposit of $250.